Perfect for indoor or outdoor use, the Jardin 3pc table set, with 1 x folding table and 2 x folding chairs, will provide a charming way to enjoy al fresco dining in the summer months. Each piece is made from robust wrought iron, so will be long lasting, while the antique brown finish complements most settings. The table features a decorative border where the metal effortlessly twists and turns for an exquisite design, while in the middle cut out pattern accentuates the chic style of the table. The folding chairs are also given the same attention making it a beautiful set. When not in use, simply fold them flat for tidy storage. 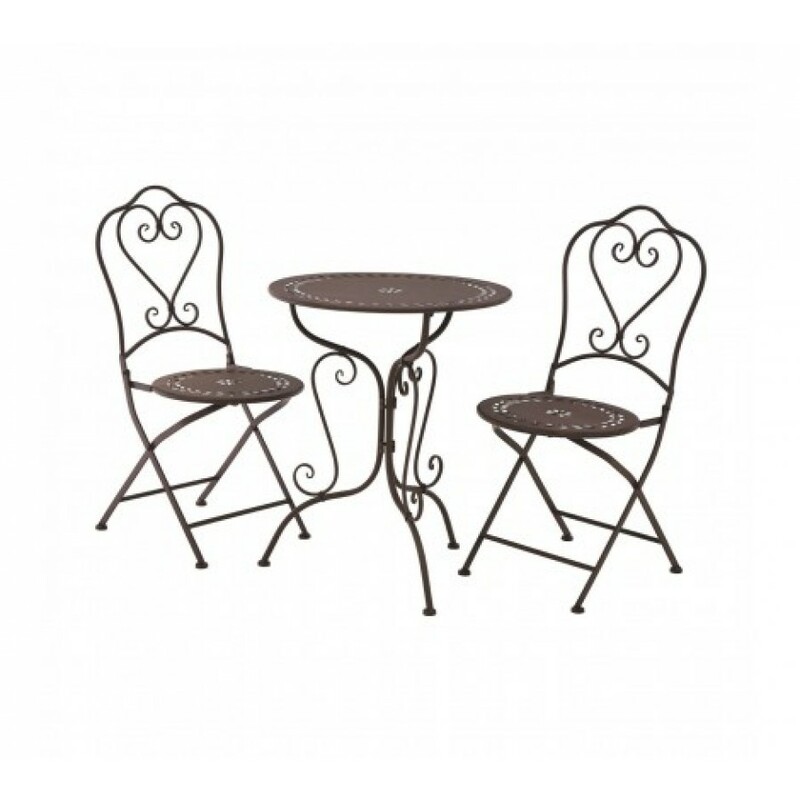 Whether it's for your dining space or patio, the all year round Jardin table set brings charm to your room.